For better or worse, it seems as if Windows 8 will be available in nine separate editions. That’s up three flavors from Windows 7. The unofficial news comes from a registry key found within the Windows 8 Consumer Preview. If this key is to be believed, Windows 8 will be available in the six editions of Windows 7 with the addition of Windows 8 Professional Plus, Enterprise Evaluation, and ARM edition. That makes nine Windows 8 versions in all — seven more editions than Apple’s OS X. The difference is important. It speaks to the approach these to companies have toward OS sales. Microsoft, the still massively dominant player in desktop computing, has a version for nearly every environment ranging from OEM netbooks to massive enterprise environments. The difference between the versions often involves additional (or missing) applications, networking support and security features. On the other hand, Apple puts all their goodies in one basket and sells only one consumer desktop option. There’s always OS X server, too, which Apple branded as the “Server For Everyone”. These differences are even more apparent when considering their price. OS X costs $29.99 and Server is only $49.99. 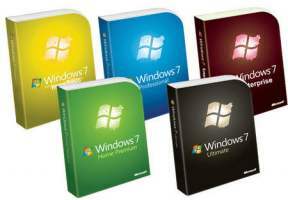 Windows 7 Starter and Basic isn’t sold directly to consumers but they can still be found online for less than $100. The Microsoft Store lists Windows 7 Home Premium, Professional, and Ultimate from $199, $299, and $319, respectively (upgrade prices are a bit less). Navigating the different versions of Windows is a hassle. The operating system can cost nearly as much as new computer. Plus, if a consumer was going to spend hundreds of dollars for the OS, they’re forced to either spend even more money or live with missing features. Windows is heavily pirated for a reason. Apple on the other hand shoehorns everything into one version and makes it available for a relatively low price. Why? Apple is a hardware company that happens to also sell software. Apple makes money when they ship hardware, not software. Apple just needs its software to keep users happy and interested in coming back for more hardware, not pay the company’s light bill. As a software company, Microsoft doesn’t have this luxury. Redmond must make money off software like Windows and Office. This is their bread and butter. However, prior to Windows 7, Microsoft had trouble encouraging enterprises to upgrade to the latest version of Windows — Windows XP SP3 is just that good, like Windows 2000 before it. Windows Vista was a bust just short of the disaster of Windows ME. Microsoft hit it out of the park with Windows 7, though, and is going to have a hard time convincing enterprise customers to upgrade to Windows 8. Windows 7 was nearly an instant hit. It hit 4 percent of the total desktop market share just three weeks after its release. Microsoft moved more than 100 million copies in six months, making it the company’s fastest selling operating system ever. As of January 2012, it’s estimated that Microsoft sold more than 525 million copies of Windows — a feat partly accomplished by the six separate versions of the OS. There isn’t a winner here. Microsoft and Apple have different approaches and goals in regards to their desktop operating systems. It’s easy to stand on a soapbox and yell at Redmond, “You’re doing it wrong! No one wants to spend $300 on an OS!” But that fact is Microsoft seems to know what they’re doing and have the numbers to back it up. Likewise, Apple is on a tear lately, pushing out new revisions of OS X every year as the Mac’s market share increases. That said, Microsoft has a lot more riding on the success of Windows 8 than Apple does on Mountain Lion. Windows 8 will be released later this year and will finally push Microsoft into the so-called post-PC world. It has a tough game ahead. Windows 8 needs to curb OS X’s explosive growth and kill the iPad. Like Windows 7 before it, Microsoft is letting consumers try out a final beta copy prior to its release (download info here). Windows 8 needs to be more than a home run; it needs to be a World Series game 7 walk-off grand slam against team Apple.